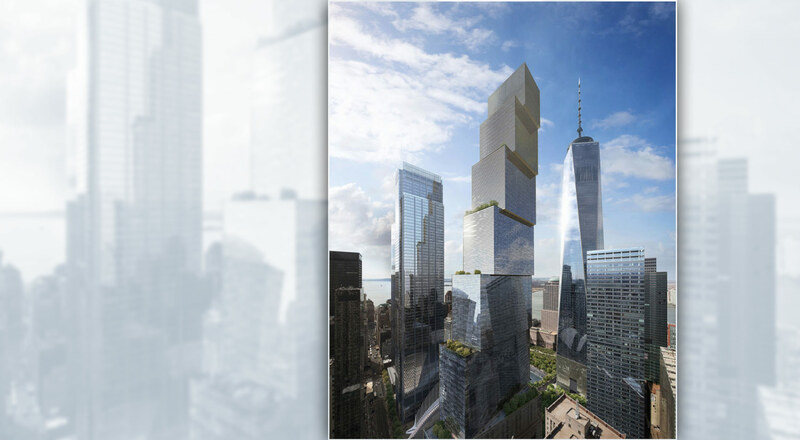 An exclusive report by the publication Wired provides us with a first glimpse of what will be the latest and final skyscraper in the World Trade Center complex. You may well be thinking… But wasn’t that building designed years ago, and by someone else? Hadn’t they already started building it? And you would be right. 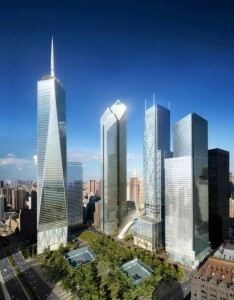 The 2 World Trade Center was originally designed by British architect Lord Norman Foster a decade ago, in 2005. He had proposed a tower which would be crowned by four huge diamond-shaped skylights. Work on his tower did, in fact, begin, with the construction of the foundations but it was later to grind to a halt due to a lack of interest from potential tenants of the 88-storey skyscraper. Rupert Murdoch has now stepped in as the project’s saviour. In April, the New York Times reported that Murdoch was in the process of cutting a deal to resurrect the project with a view to the complex becoming the new headquarters for 21st Century Fox and News Corp. This revival also meant a change of architect for the 2WTC to meet the requirements of the media mogul. Wired recently confirmed that Foster had been officially bumped from the project. In his place, the young Danish architect Bjarke Ingels has been commissioned to design the new skyscraper – his presentation represents a tower with two sheer glass sides and a stepped series of outdoor terraces running down another side. What was wrong with the Foster design? According to Wired reporter, Andrew Rice, Rupert Murdoch’s son James did not think the design suited a ‘modern media company’ like News Corp. ‘That’s why Foster ended up being bumped aside in favour of Ingels, who is exactly half his age—a wunderkind by the standards of the profession’, Rice revealed. It is not, of course, the first time a skyscraper design has been altered while under construction. Architecture, particularly that of tall buildings, is susceptible to change, moving with the economic and political forces that shape it even when a project is already underway.